A new Japanese restaurant has opened up close to me, and being someone who generally loves Japanese food, my partner and I were quick to try it out. I was particularly attracted to the NO MSG message they displayed on their menus. 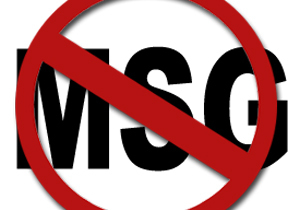 I have noticed as I have got older, MSG has become more and more of a problem for me. 10 years ago when I was living in Japan, it didn’t bother me at all. I happily ate all the delicious savoury broths, filled with MSG deliciousness, and never had a side effect to mention. But as the years have gone by I have certainly noticed symptoms creeping in after indulging in Japanese food around the Gold Coast. For me, it’s sleep disturbances (and I sleep like the dead, so this is a big thing! ), periods of insomnia and wakefulness, sweating, and a very dry mouth coupled with thirst. I also end up feeling weird. No other way to put it. Unfortunately, once we decided we liked our local Japanese restaurant, it became a bit of a regular haunt. And the more I had it, the more I noticed MSG effects. Upon further investigation, I found that they do not ADD MSG, but they do use ready made products such as sauces, wasabi, and broths, that already contain MSG. Very sad-face. This got me thinking about MSG and if it is such a common staple for Asian cultures, why do they not all suffer the way I do? Doing some quick research I found an article called “If MSG is so bad for you, why doesn’t everyone in Asia have a headache?”, MSG is explored in detail. Click here for the full article or read on for my highlighted points. In regards to noodle soup: ‘The basis of the experience is the broth,’ and ‘the soup must animate the noodles’.What does chiefly animate Japanese soups and broths is an amino acid called glutamate. In the best ramen shops it’s made naturally from boiling dried kombu seaweed; it can also come from dried shrimp or bonito flakes, or from fermented soy. More cheaply and easily, you get it from a tin, where it is stabilised with ordinary salt and is thus monosodium glutamate. …mixing it with ordinary salt and water made monosodium glutamate – a white crystal soluble in water and easy to store, and marketing it as a table condiment called Aji-no-moto (‘essence of taste’). The food chemicals giant Ajinomoto Corp, now owned by General Foods, pumps out a third of the 1.5 million tons of monosodium glutamate we eat every year – and from India to Indonesia ‘Ajinomoto’ means MSG. …. glutamate is present in almost every food stuff, and that the protein is so vital to our functioning that our own bodies produce 40 grams of it a day. Ripe cheese is full of glutamate, as are tomatoes. Parmesan, with 1200mg per 100 grams, is the substance with more free glutamate in it than any other natural foodstuff on the planet. Almost all foods have some naturally occurring glutamate in them but the ones with most are obvious: ripe tomatoes, cured meats, dried mushrooms, soy sauce, Bovril and of course Worcester sauce, nam pla (with 950mg per 100g) and the other fermented fish sauces of Asia. Marmite, with 1750mg per 100g, has more glutamate in it than any other manufactured product on the planet – On the label, Marmite calls it ‘yeast extract’. Nowhere in all their literature does the word ‘glutamate’ appear. Mass production of processed food was booming. But canning, freezing and pre-cooking have a grave technical problem in common – loss of flavour. And MSG was a cheap and simple additive that made everything taste better. It went into tinned soups, salad dressings, processed meats, carbohydrate-based snacks, ice cream, bread, canned tuna, chewing gum, baby food and soft drinks. As the industry progressed, it was used in frozen, chilled and dehydrated ready meals. MSG is crucial in no-fat or low-fat food, where natural flavour is lost with the extraction of oils. It’s now found in cosmetics, pharmaceuticals, and dietary supplements. And so was born Chinese restaurant syndrome (CRS) and a medico-academic industry dedicated to the researching and publicising of the dangers of MSG – the foreign migrant contaminating American kitchens. Shortly after Dr Ho came Dr John Olney at Washington University, who in 1969 injected and force-fed newborn mice with huge doses of up to four grams/kg bodyweight of MSG. He reported that they suffered brain lesions and claimed that the MSG found in just one bowl of tinned soup would do the same to the brain of a two-year-old. Other scientists were testing MSG and finding no evidence of harm – in one 1970 study 11 humans ate up to 147 grams of the stuff every day for six weeks without any adverse reactions. …at no time has any official body, governmental or academic, ever found it necessary to warn humans against consuming MSG. Thus since 1968 the processed food industry has had its own nasty headache as a result of MSG. Hundreds of processed products would have to be withdrawn if amino-acid based flavour-enhancers could not be used. They would become, simply, tasteless. By the 1980s a third of all Americans believed it was actively harmful. Crisp-buying teenagers thought MSG made them stupid and spotty. Mothers read that MSG could put holes in their children’s brains. So the food industry employed its usual tactic in the face of consumer criticism: MSG was buried by giving it new names. 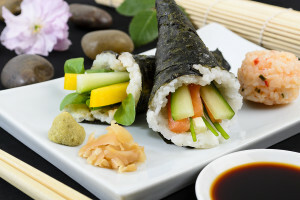 The industry came up with a fabulous range of euphemisms for monosodium glutamate – the most cheeky of all is ‘natural flavourings’ (however, the industry did remove MSG from high-end baby foods). In fact, every government across the world that has a food licensing and testing system gives MSG – ‘at normal levels in the diet’ – the thumbs-up. The US Food and Drug Administration has three times, in 1958, 1991 and 1998, reviewed the evidence, tested the chemical and pronounced it ‘genuinely recognised as safe. However, there remains a body of respected nutritionists who are sure MSG causes problems – especially in children. And parents listen. Most doctors who offer guides to parents qualify their warnings about MSG – it may cause problems, it has been anecdotally linked with disorders. When asked to explain this manufactures…. answer is that the industrial fermentation process introduces contaminants. This is possible, of course, but it ignores the fact that whole swaths of the planet do not have any problem with MSG. This article told me a lot about MSG, but it didn’t tell me why Asian cultures seem not to be troubled by Chinese Restaurant Syndrome. It also gave an excellent list of alternative names to MSG, as well as glutamate containing natural foods which I have included below. I know I can personally eat all of the foods on that list without symptoms, so for me it must have something to do with the processing and isolation of the molecule. In natural medicine we learn the whole is greater than the sum of its parts, and this might be the case for glutamate containing foods- something in the whole food negates the MSG effect. I know it is something I would like to avoid in my general life, and therefore I have sadly said goodbye to some of the yummy broths at my local restaurant. When I go now, I stick to fresh sushi and a gluten free soy sauce they provide. That seems to do the trick. I hope some of your MSG related questions have been answered. As a naturopath, I would encourage everyone to become aware of just how you feel after eating certain foods. If you become aware of certain symptoms that emerge after the same food or restaurant, it could very well be additive related. Remember that your body doesn’t do things without reason. If MSG is making you feel unwell, or weird as I like to put it, it is your bodies way of telling you to stop eating it. To read the rest of this article, click here. Next post: Health Myths BUSTED!